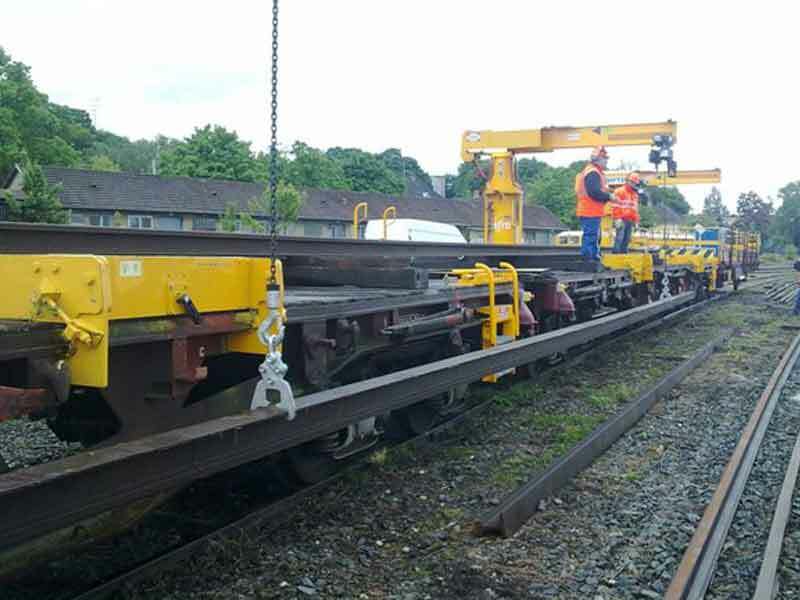 The 4 loaders intended to load and unload rails of 36 m long maximum, are installed by pair on 2 wagons, radio-controlled by one operator, synchronized control of 2, 3 or 4 hoists, electric supply from one generating set located underneath or on an separate wagon. This beam can be used with different rail profiles ( Vignole, grooved rails, special rails) by changing grips only. 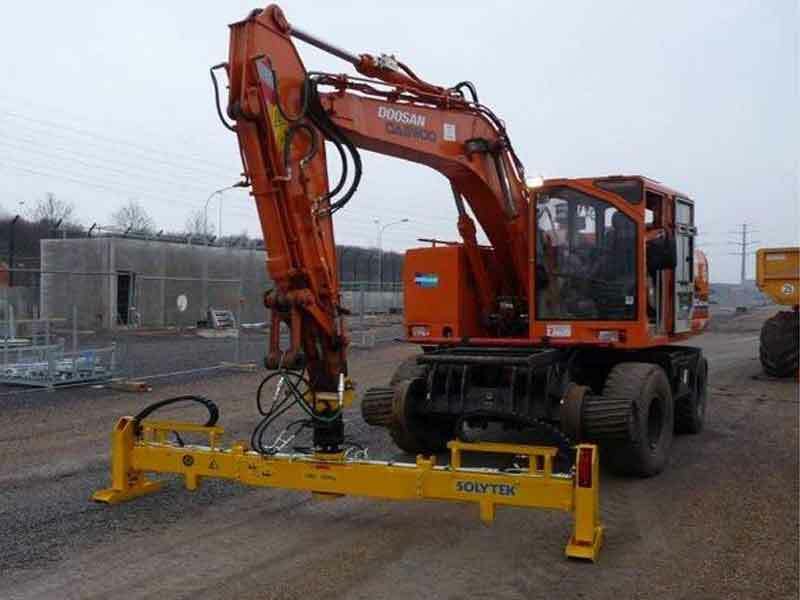 Equipped with a safety device preventing opening of grips under load. 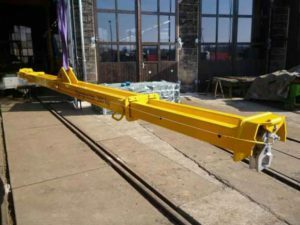 Design for rail handling, up to 5 rails located side to side, length of rail from 10 m to 18 m. Levers are linked by cable allowing opening of grips without penetrating the dangerous area. 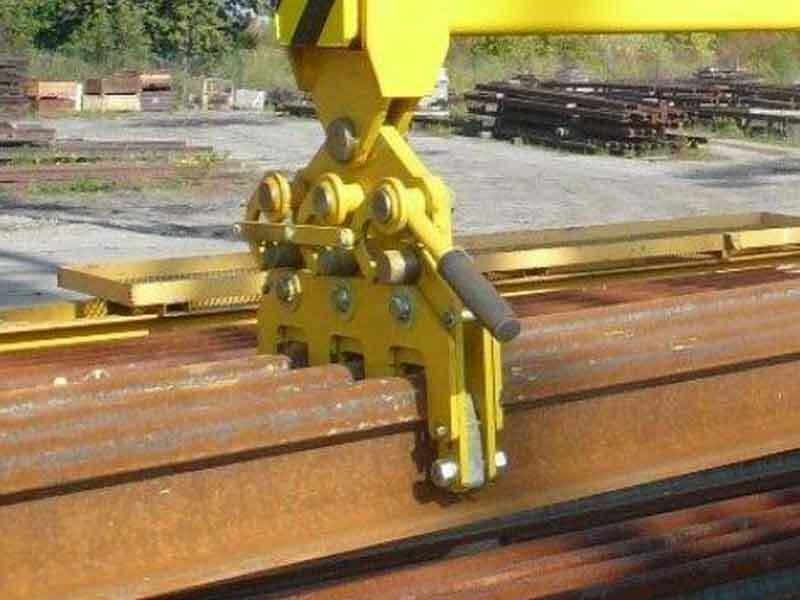 To be used with our rail grips. 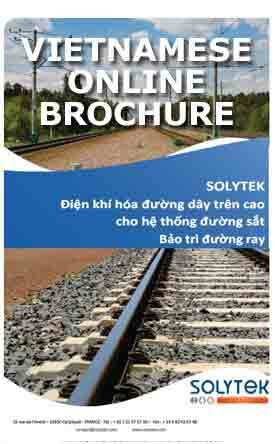 For Vignole rails, grooved rails, special rails. 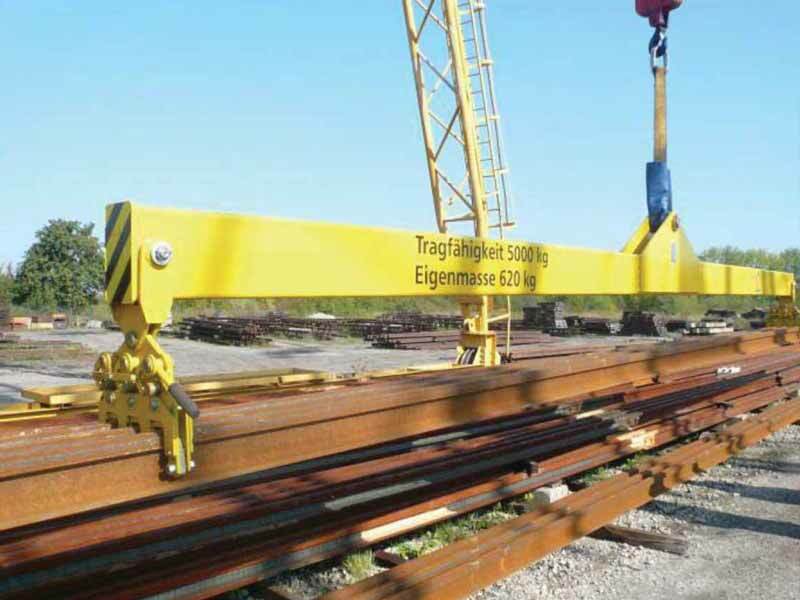 For handling up to 5 rails. 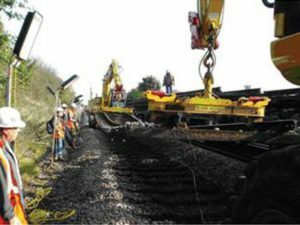 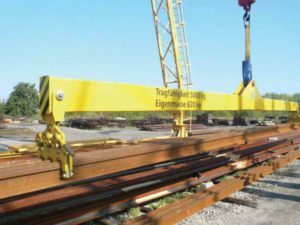 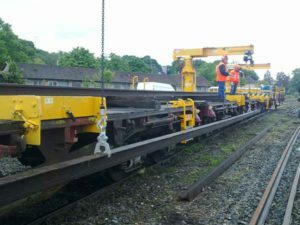 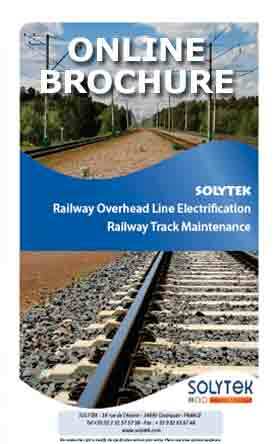 For handling track panels up to 18m long when used in tandem, and elementary rails thanks to rotative gripping heads. The beam is extendable up to 6000 mm by hand. 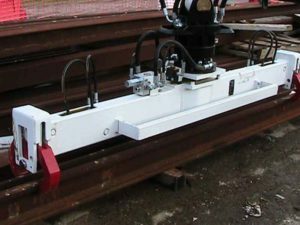 This beam can be used for handling different rail profiles (Vignole, grooved rails, special rails) by changing grips only. 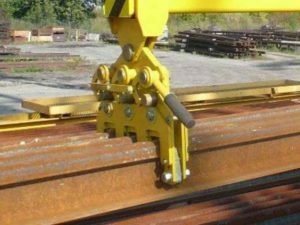 Safety device preventing opening of grips under load.